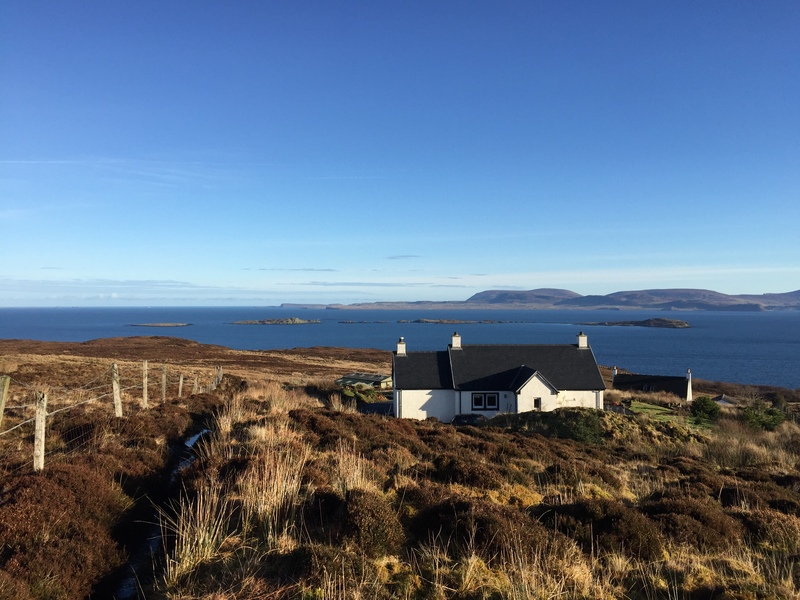 Chill out and enjoy uninterrupted views across Loch Snizort to the Ascrib Isles and the Outer Hebrides beyond. 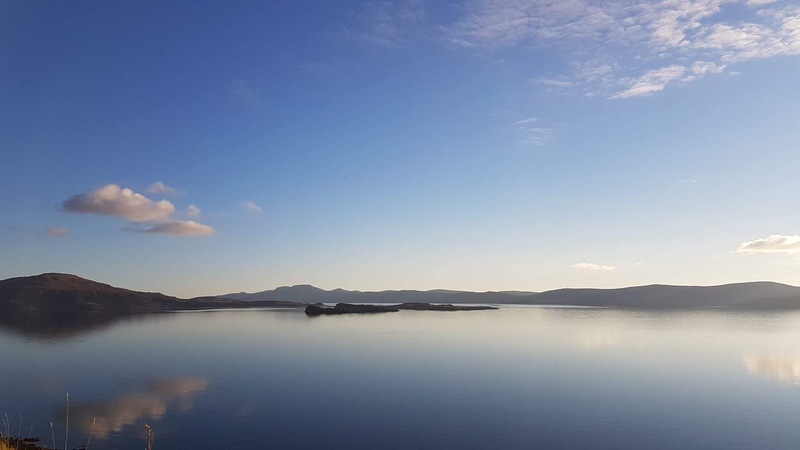 Low-level windows bring landscapes and seascapes to you. 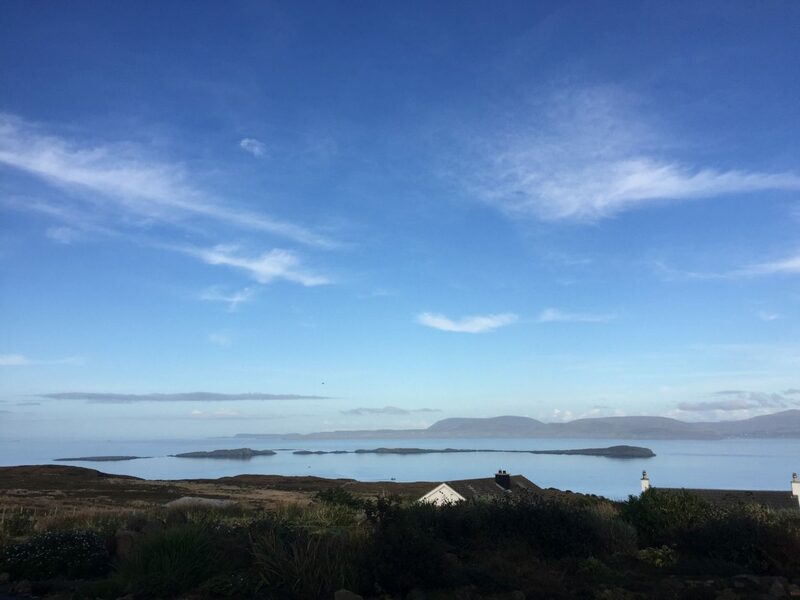 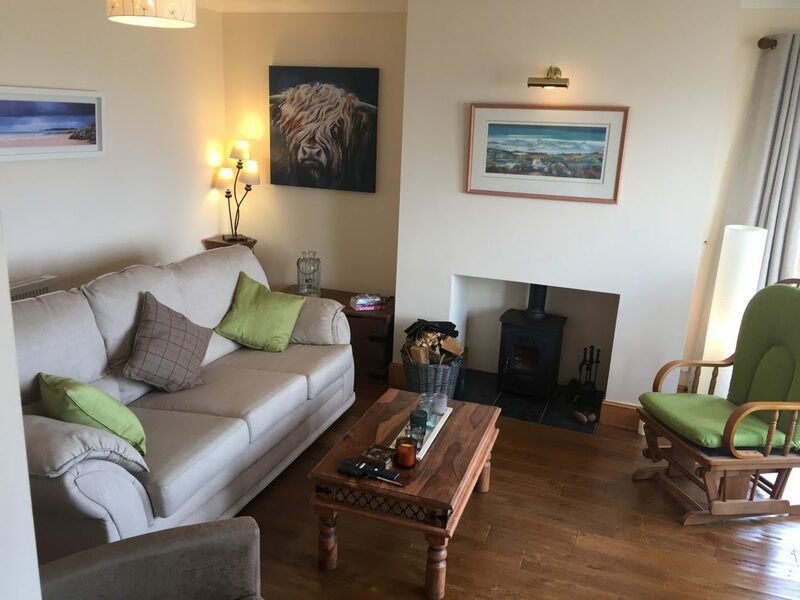 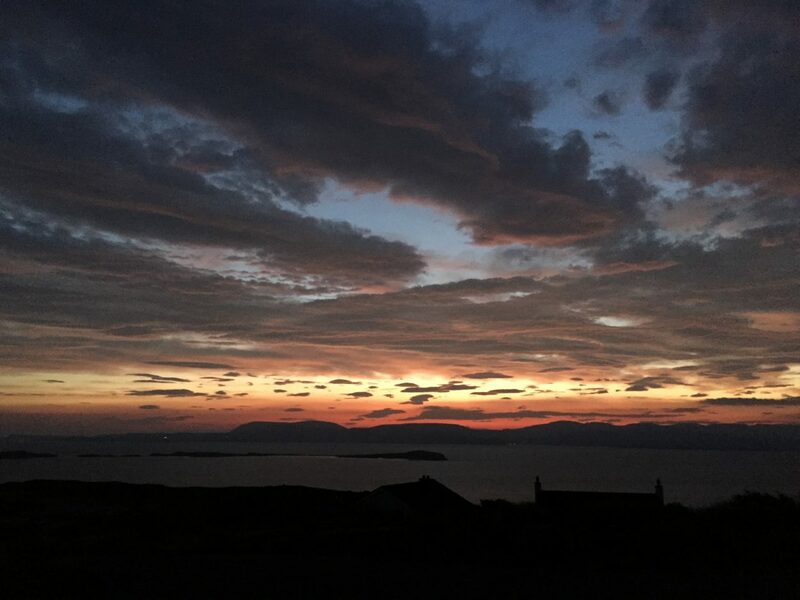 Creagach Cottage is the ideal place to relax and recharge your batteries. 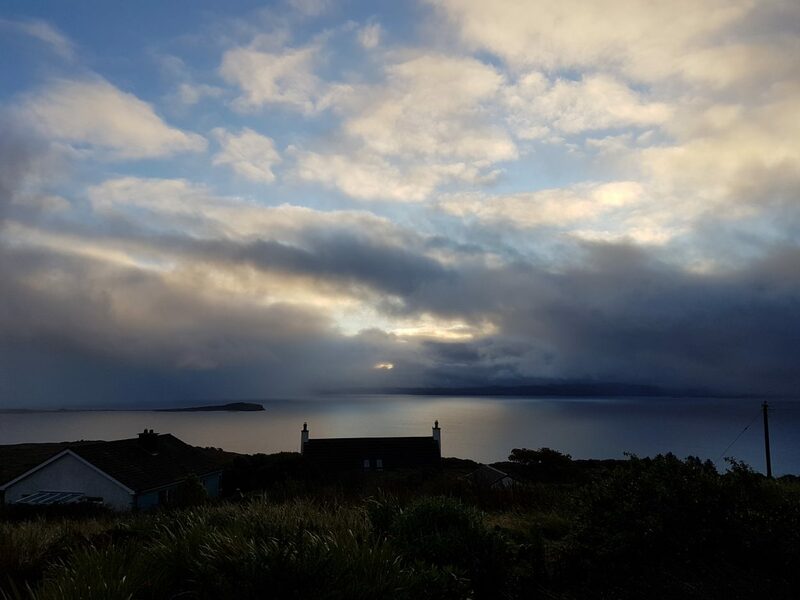 Come and snuggle beside our wood-burning stove and watch four seasons in one-day pass the window. 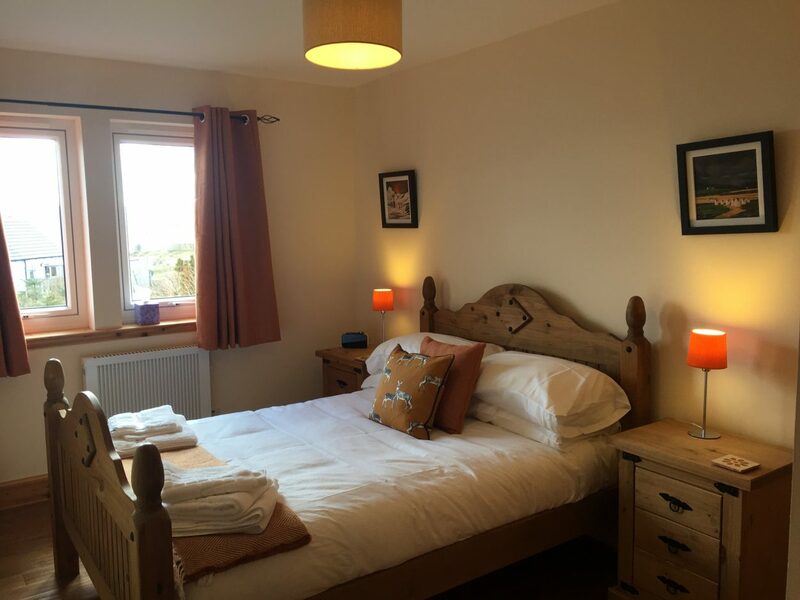 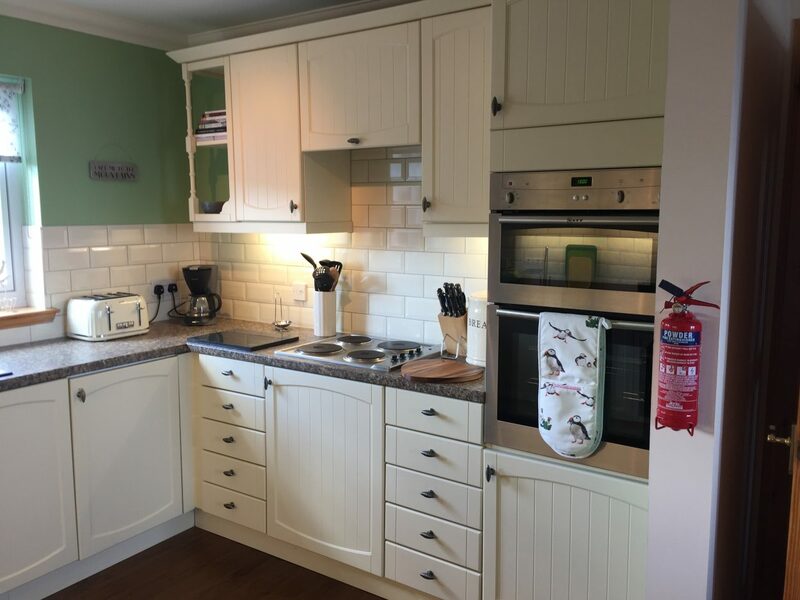 The cottage is cosy, spacious, luxurious and has everything you need for a fantastic holiday. 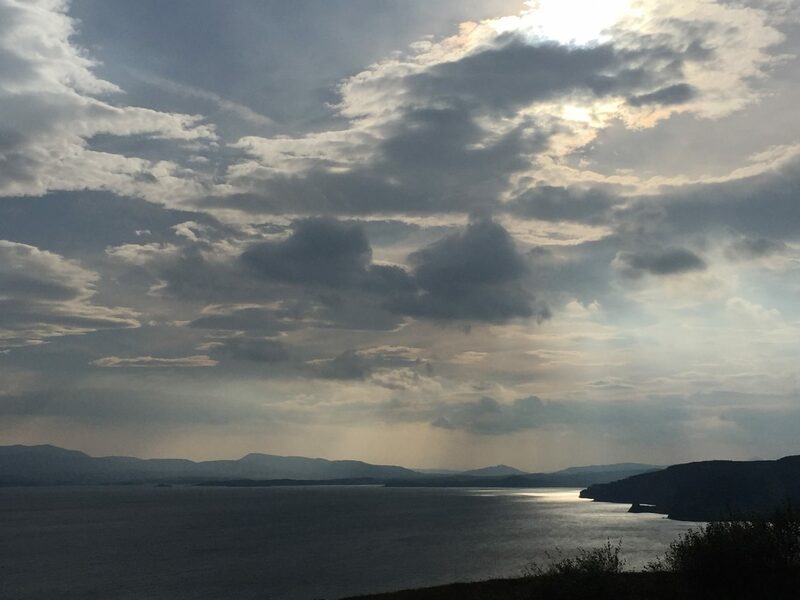 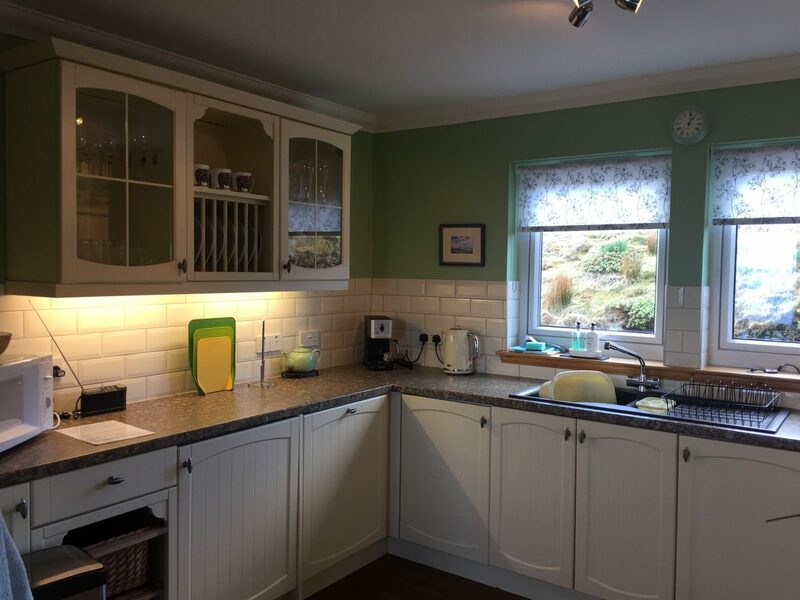 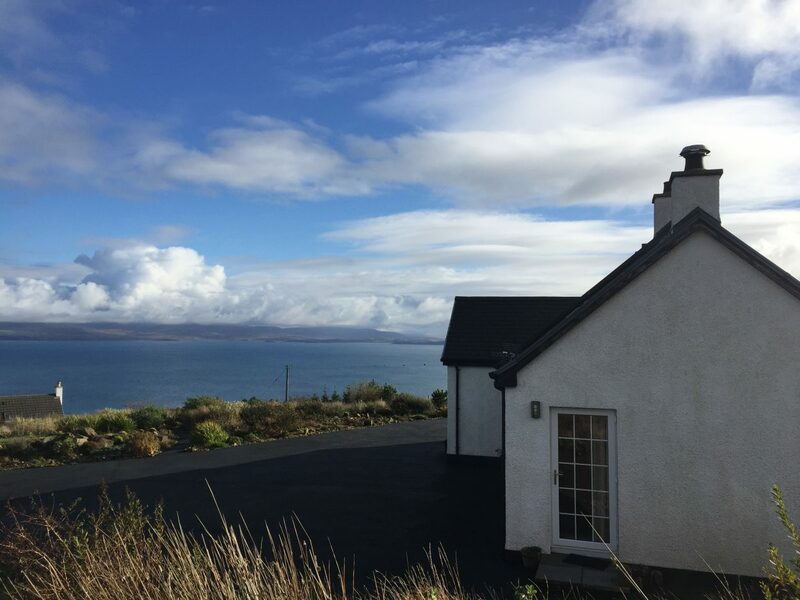 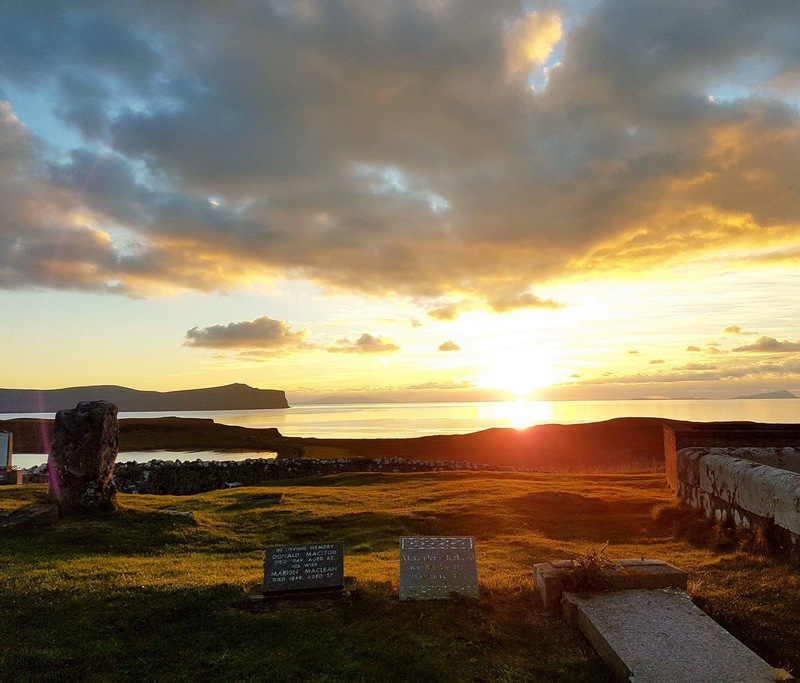 Creagach Cottage is ideally located for exploring Skye and provides an oasis of calm to escape to at the end of your busy days. 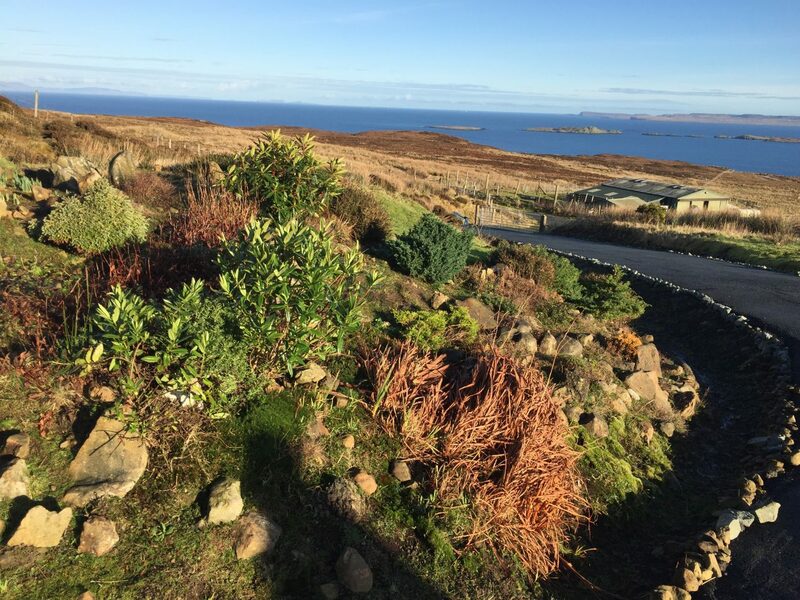 We are also within an easy drive/taxi ride to some of Skye’s world-class restaurants. 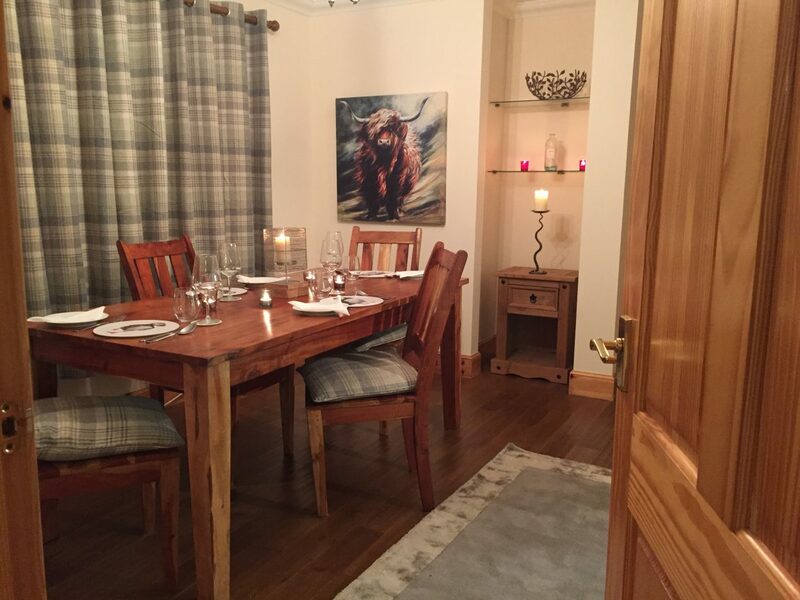 Michelin Star awarded Loch Bay Restaurant, Edinbane Lodge and The Three Chimneys are all excellent choices and we can help with bookings if required. 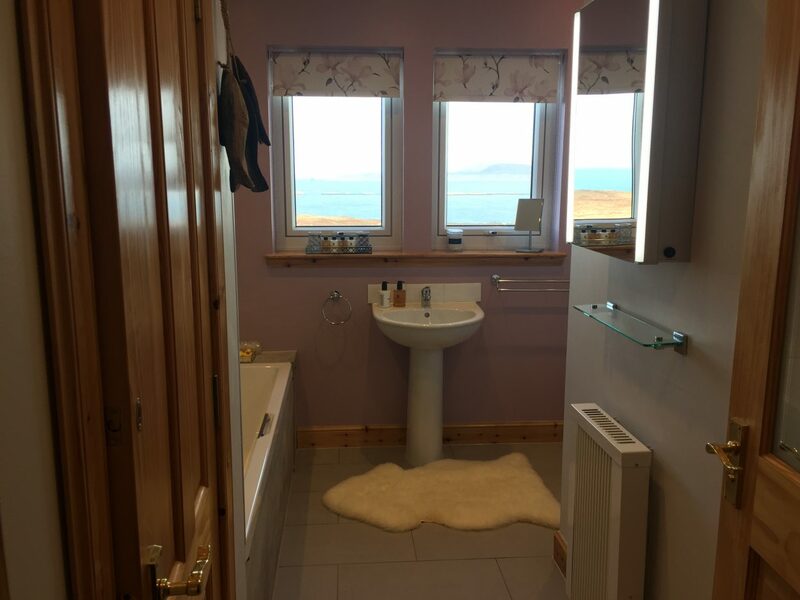 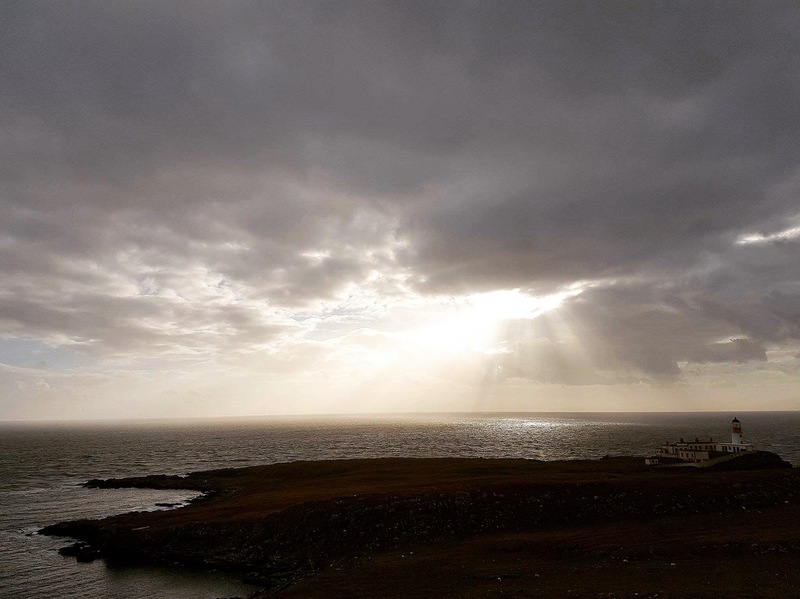 Take a walk to Waternish Point looking out for whales and sea eagles and then retire to a lovely warm bath with luxurious toiletries. 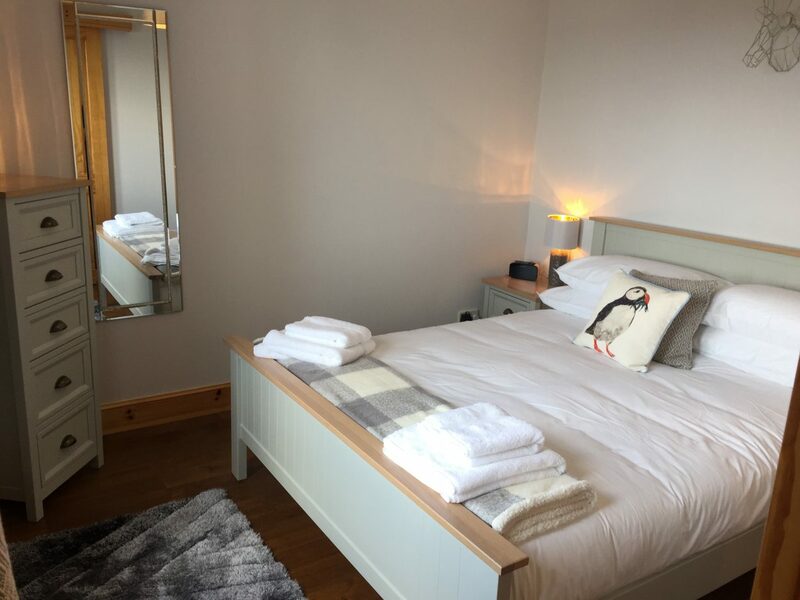 Explore Skye’s wonderful history and wild landscapes then return home to locally made fabrics, luxurious sheepskins, and sumptuous bedding. 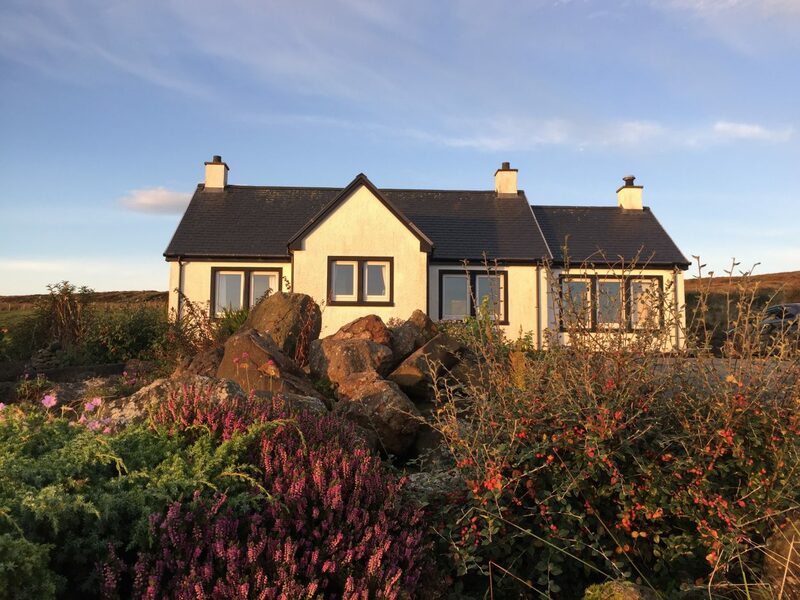 Creagach Cottage is very special and we hope that you can come and spend some time in our fabulous holiday cottage on the Isle of Skye.